McPherson Express Laundry Center features high-speed machines that shorten the wash/dry process to under 60 minutes; wireless Internet access; complete security for your peace of mind; and laundry service associates who act more like mothers than employees. 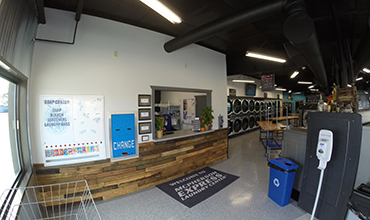 At McPherson Express Laundry Center, customer service spins out of control, thanks to convenience programs like Wash, Dry & Fold, Dry & Fold and Dry Only. 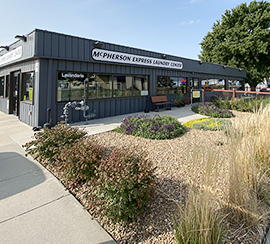 New at McPherson Express Laundry Center is the added convenience of a recently installed automatic sliding door! Gone are the days of managing your laundry and the door. Visit our contact page for more details on how this affects our closing procedure. Add 1 cup of white vinegar to the bleach section of the dispenser prior to starting the wash cycle. Do this when you are washing a load of all-white laundry for best results. Don’t add chlorine bleach at the start of the wash cycle. Wait five minutes to give detergent time to remove soil and bind with the surfactant ingredients. Then add bleach for whitening. We carefully wash, dry, fold and package your laundry! Simply drop laundry off with us and pick it up when it’s done. Unlike other laundries, we are here for you – from 7 a.m. to 3 p.m. Monday through Friday and 7 a.m. to 10 a.m. on Saturday. Use our convenient drop box whenever an attendant isn't on duty. Our Continental washers and dryers are among the most energy efficient on the market today. 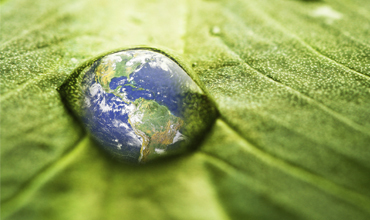 Customers can feel good knowing that our laundry products are manufactured in an envrionmentally friendly manner to conserve the Earth's natural resources and to create less waste. 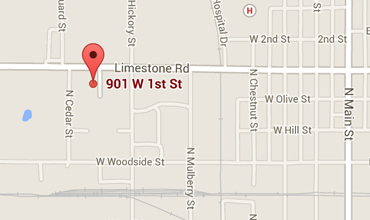 McPherson Express Laundry Center is conveniently located at 901 West 1st Street. We're open daily from 7 am to 9:30 pm (excluding some holidays). Visit our contact page for more details.